Today’s CRMs are complex sales tools. They track customers throughout the buying cycle, alert salespeople to the biggest opportunities, and assist by smoothing over the rough edges of contract negotiations and subscriptions. 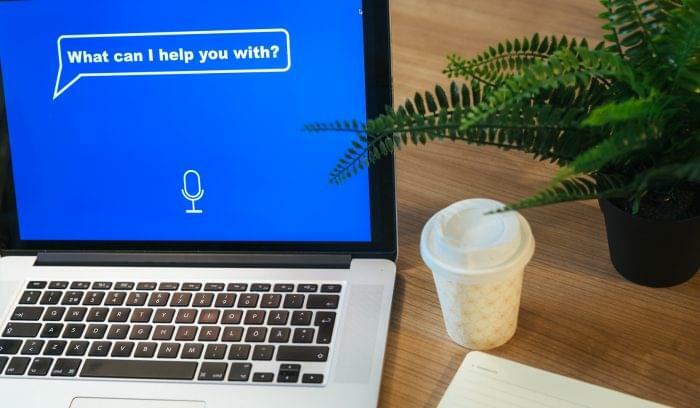 What small and medium enterprise (SME) companies pay for in their sales software is not just a place to store their customer records—although that’s important, too—but a digital assistant for each representative to best serve their customers. These software assistants manage notifying salespeople of upcoming deals, remind them to check in with clients, and alert them to hot leads. All of these pieces can be done with automated software tools, which you’ll find in abundance when comparing Salesforce vs. SAP. The Salesforce and SAP Sales Cloud tools exemplify the sales tool as a personal assistant. While both of these tools manage customer records, they do so much more for companies who have complex buying cycles but need to move quickly in competitive marketplaces. 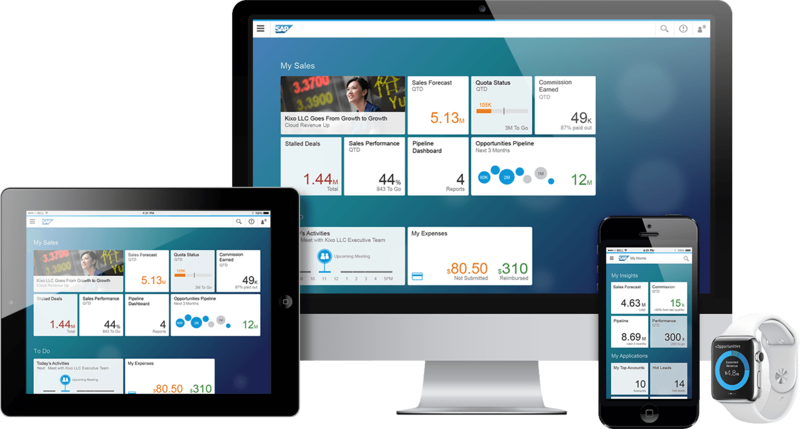 Both SAP and Salesforce strive to be the ERP of business tools: they hope to replace a full stack of individual sales, marketing, and financial tools with one single integrated software. These megaliths are for enterprise corporations of all sizes trying to align their customer acquisition and retention tools and make the most of their customer data. 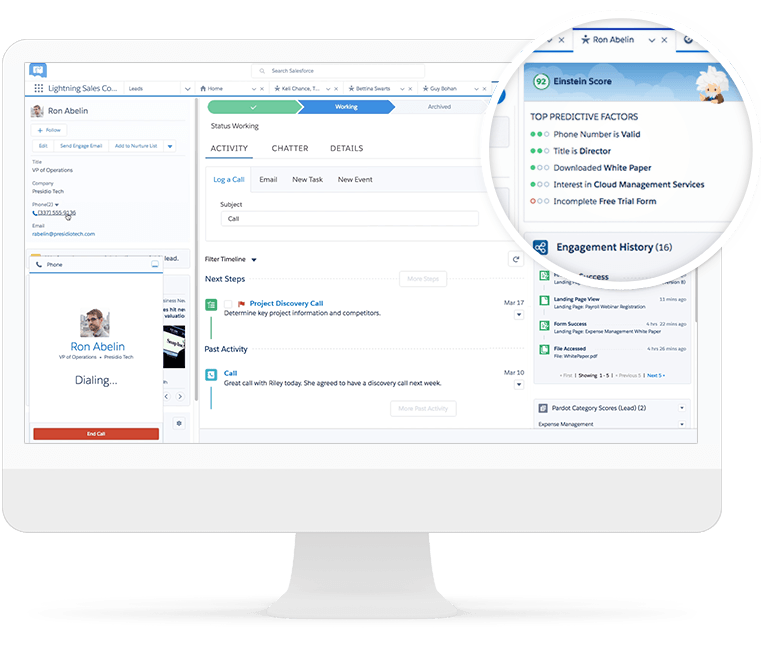 The Salesforce Sales Cloud tools make up one corner of the Salesforce galaxy of tool offerings. The Sales tool includes contact, opportunity, and lead management in a mobile interface with dashboards, reports, data management tools, and email integrations. 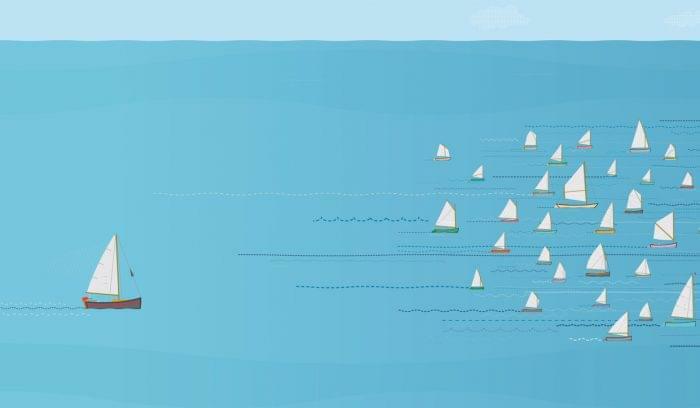 Teams can use the advanced sales forecasting to make their plan of attack, and workflows and approvals settings minimize tedious and time-consuming follow-ups. TechCrunch covered the release of SAP Sales Cloud in 2018, noting how SAP used acquisitions to add modules to their current product. These acquisitions included Hybris for ecommerce, Gigya for customer tracking, and CallidusCloud for configure price quote (CPQ) to build a powerful and automated sales cloud. 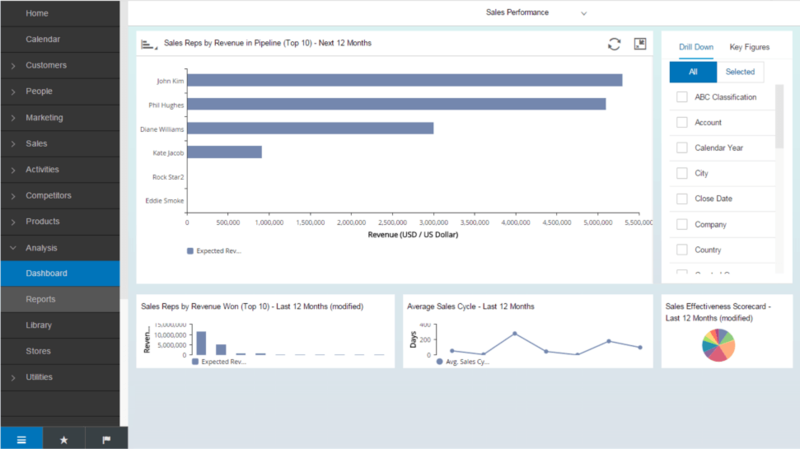 Salesforce Sales manages accounts and contacts in real time within pipelines and helpful visualizations. The regular tool includes lead management, and you can purchase lead scoring with Einstein AI. Choose from several different views and filters for all of your lead lists, and track customers through every portion of the sales cycle. Custom automation for any process is available through a custom app. SAP’s sales automation tools show reps and their managers the full picture of their sales pipelines and let teams drill down into individual customer information for a more detailed approach. The data visualizations show upcoming, outlier, and custom deals to help reps track the most important deals at the most important times. The sales automation tools also include lead scoring in real time, a feature Salesforce only offers with Einstein artificial intelligence (AI). Salesforce CPQ features automated rules and guardrails to ensure that reps get work done faster and without causing pricing problems down the line. 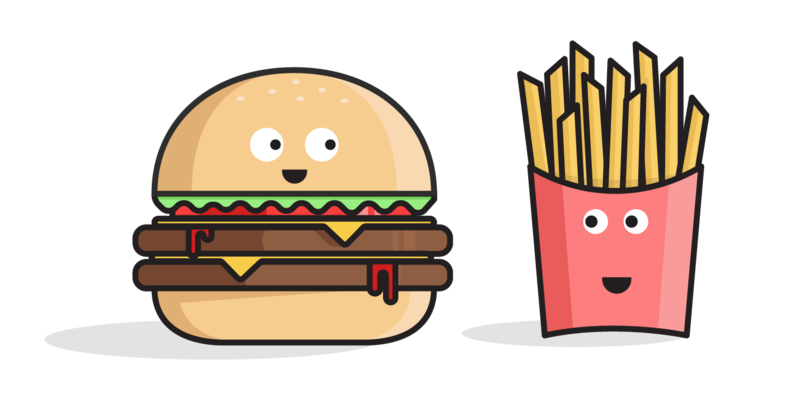 The team can then generate branded proposals right in Salesforce. Preset rules add subscriptions or unique pricing models, while reps can manually add discounts to any line items. Salesforce CPQ automatically spreads discounts throughout to reach the customer’s budget, if necessary. SAP’s Sales Cloud uses augmented intelligence to suggest products and prices and generate proposals quickly. This tool eases the frustration of building custom proposals with complex product structures. The tool is also perfect for outside sales teams who can access contracts and quotes from a mobile device and negotiate contracts from a secure portal. SAP helps sales teams improve their overall performance with custom territories, verticals, and teams settings. Each of these can run on their own commission and bonus settings. 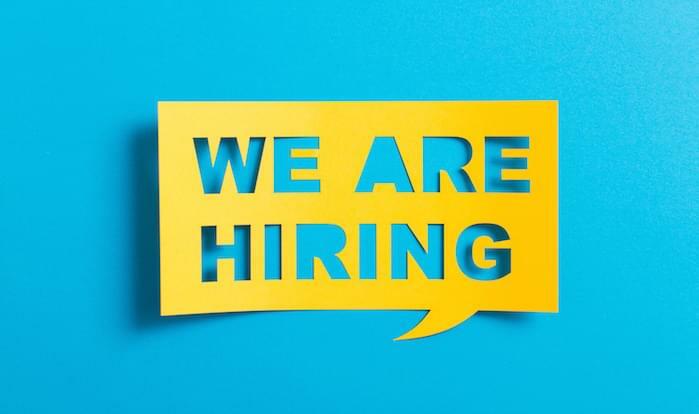 The mobile app and gamification tools help motivate sales teams from anywhere, and an estimation calculator keeps individuals on track to exceed their goals. These features all come standard in the Sales Cloud, so teams don’t have to bother IT to set up custom rules. 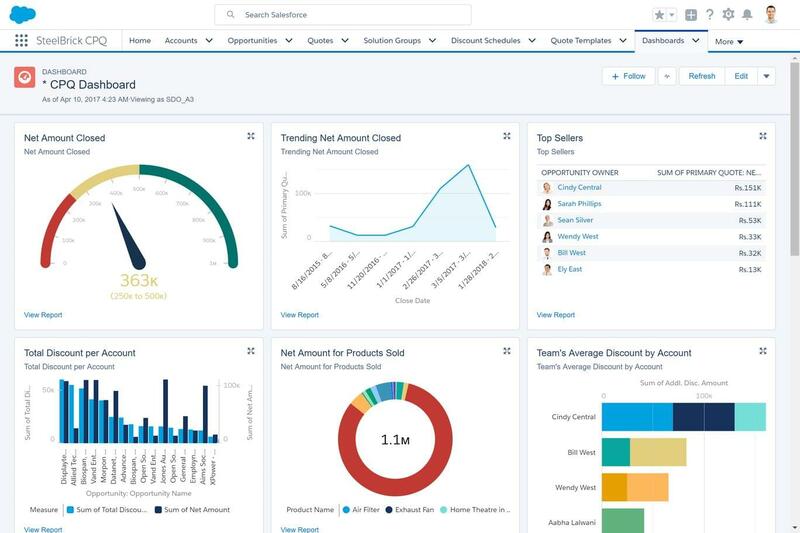 Salesforce Sales Cloud brings together customer data from social media and other customer sources to get a full picture of the sales landscape. The CRM features allow customizations that align with business processes, giving reps the freedom to work according to their product needs without tethering them to the CRM’s processes. Real-time updates, chat features, and goal visualizations all keep the team motivated and on the same page. Both Salesforce and SAP Sales Cloud offer AI tools, but the purchase structures distinguish the two. For both, you can purchase cloud tools for sales, service, marketing, ecommerce, and apps separately. Salesforce’s AI offering, Einstein, is an extra per-user add-on layer that covers any of the apps you purchase. This means you can purchase the Salesforce sales and ecommerce modules, and opt to enhance these with Einstein for an additional monthly fee. Each of these pieces can be purchased separately but without the extra power boost of AI. There’s no clear frontrunner in the Salesforce vs. SAP footrace. Both tools improve upon the standard CRM product, and each of them gains significant power when connected to AI tools. 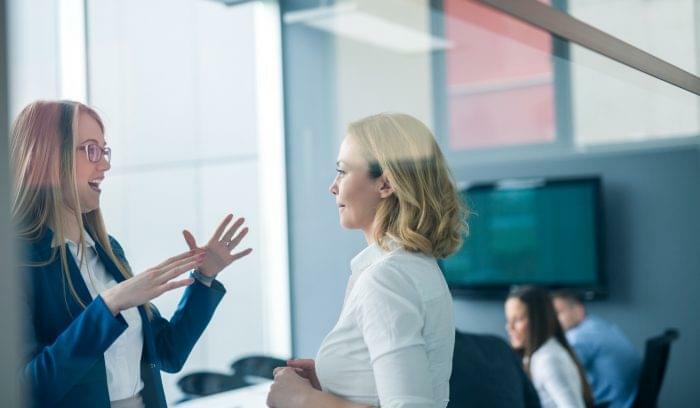 Enterprise companies of all sizes would enjoy both of these products, especially sales-focused companies without the need for an ERP or whose ERP tool doesn’t include sales features. In the runoff between Salesforce vs. SAP sales tools, the winner would totally depend on your team’s needs. If you require AI but don’t need the full cloud stack, you should consider Salesforce. However, if you’re looking for a full business stack with AI capabilities, consider SAP’s C4/HANA. There’s not a clear winner between the functionality of Salesforce vs. SAP Sales Cloud, but you can find the perfect CRM and sales enablement tool today. Call TechnologyAdvice at 877.822.9526 to get fast, free CRM recommendations that fit your company’s needs, or fill out the form on our CRM software page, and we’ll call you.